Filed to: the energy source of the future?Filed to: the energy source of the future? the energy source of the future? Texas Republican Lamar Smith, chairman of the House Science Committee. 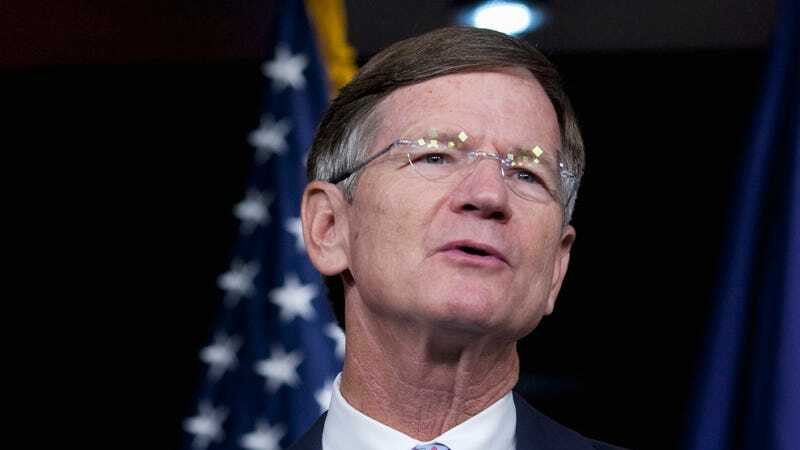 House Science, Space and Technology Committee chairman and man who calls hearings to challenge basic climate science Lamar Smith struck an unusual tune in a hearing that garnered little attention earlier this week. Apparently, despite all evidence to the contrary, Smith is concerned about reducing carbon emissions and tackling climate change after all. He just wants to do it through fusion energy. Smith went on to stress the need for continued U.S. support of ITER, a multi-billion dollar fusion reactor currently under construction in southern France. Trump is calling for just $75 million in DOE funding to ITER next year, an amount both Democrats and Republicans present at the hearing agreed was far too low. Zoe Lofgren (D-Calif.) warned that the U.S. was “at risk of being the deadbeat” if it didn’t step up its commitment. The science committee’s Republican chairman, meanwhile, called ITER a “key step to achieving commercial fusion energy,” and warned that America “cannot afford to lose our seat at the table” by failing to live up to its fusion energy commitments. ITER is jointly sponsored by the US, the EU, India, Japan, China, Russia, and South Korea. At first blush, Smith’s enthusiasm for fusion—a futuristic energy source that could in theory generate near-limitless power with zero emissions—appears at odds with his well-documented anti-environment track record. But while Smith has repeatedly voted against renewable energy tax credits and pushed to do away with loan guarantee programs that help bring new energy technologies into the world, he does seem to have a soft spot for speculative, high tech solutions to a climate crisis he rarely acknowledges. In November, Smith held a hearing on geo-engineering, a suite of climate change techno-fixes that range from the plausibly doable but potentially catastrophic (spraying a bunch of reflective particles into the stratosphere) to straight up scifi ideas, like throwing solar-reflecting mirrors up into space. In 2016, he criticized former president Barack Obama for not providing “the leadership that is necessary” on fusion energy. As far as more down-to-Earth ideas like wind and solar go, Smith prefers the government’s role stay limited to funding basic, early stage research. Here’s the thing: there’s no doubt basic research is very important. It’s also widely acknowledged that fusion could power the world one day, and the main impediment to us getting there may be sustained research funding. But the reality is we’re still decades away from commercial fusion reactors. (Fifteen years, actually, if you believe MIT researchers.) Meanwhile, global temperatures continue to rise and zero-emissions technologies like wind, solar, and nuclear power exist in the real world today. I don’t fault Smith for liking fusion. Fusion is damn cool. I just wish that, at some point in his soon-expiring tenure as head of the House Science Committee, he brought some of this enthusiasm for carbon-free technology to other, more immediately actionable domains of energy policy. Acknowledging climate change more often wouldn’t have hurt, either.